By Rev. John Hancock, Parish Priest at Bl. Dominic Barberi, Littlemore Oxford. 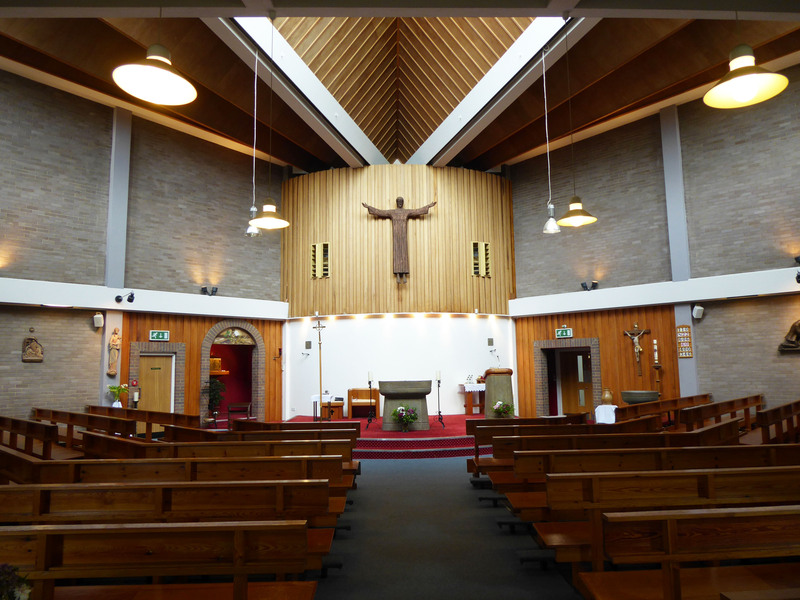 The Catholic Church in Littlemore might well be said to have begun in 1845 when on the 9th October Blessed Dominic Barberi as he now is, received into the Catholic Church the now Blessed John Henry Newman. Newman was a great Oxford scholar and had been very involved with the Oxford Movement. It was in 1842 that Newman came to live in what is now the Newman College. There he set up a small Anglican semi-monastic community and in the chapel on the 9th October 1845 was received into the fullness of the church by Dominic Barberi. 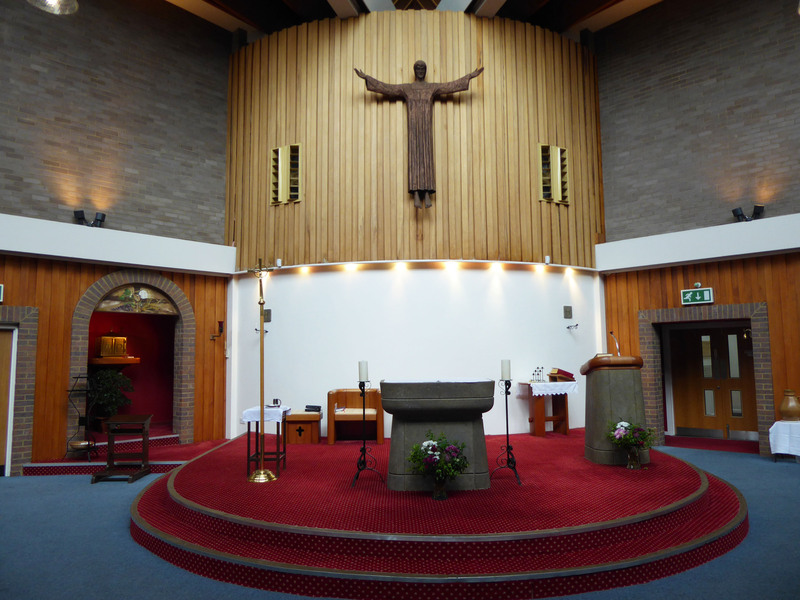 To move on to modern times, in 1935 permission was gained from the then Archbishop of Birmingham for a Salesian priest from Cowley to say a Sunday Mass in a local scout hut in Littlemore-Littlemore then being in Cowley parish. The scout hut is still in use as a scout hut and was never bought by the parish/people. A plot of land was acquired which included a large Victorian house and built onto this was Newman Hall, a simple church-opened in 1940. 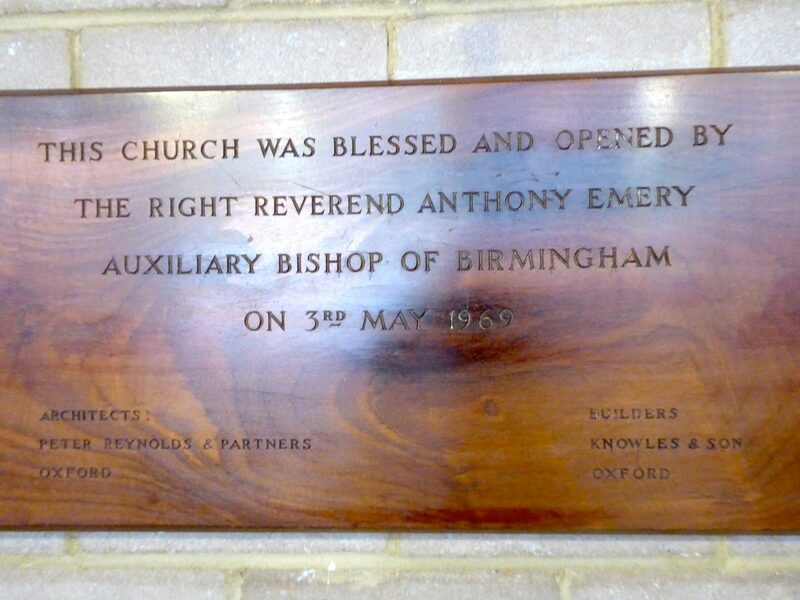 In 1960 Littlemore became a diocesan parish with its own priest, and on the 3rd May 1969 the church was officially opened dedicated to Blessed Dominic Barberi. 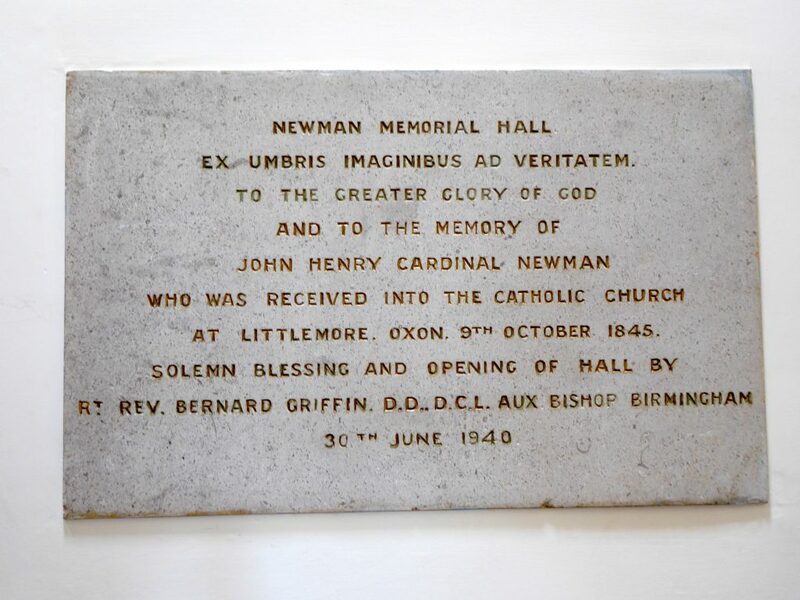 In the years 2000-2005 the old Newman Hall, which had become the church hall when the new church was opened in 1969 and the Victorian house, which had housed both the presbytery and parish club, were demolished and replaced with a new church centre and a new presbytery. As part of this project a new large entrance was built onto the church-as shown in the photograph-and improvements were made to the church heating and lighting etc. A major re-ordering of the church interior had been done in the late 1990’s.